Mr.Franz Reinhardt is the founding conductor of the Harford Youth Orchestra and served on the podium from the orchestra's first concert April 1999 through his retirement in May 2002.The Harford Youth Orchestra will always be grateful for the time ,effort, and expertise Mr. Reinhardt shared with the students. Mr.Reinhardt attended the Peabody Conservatory of Music in Baltimore, Maryland, from which he earned his Bachelor and Master of Music degrees. 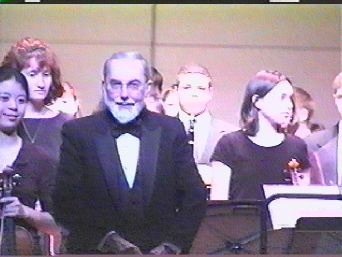 He retired in 1998 from Baltimore County Public Schools after 32 years of teaching instrumental music at the elementary, middle, and high school levels. Coming out orf retirement he became Band and Orchestra Director at The Catholic High School of Baltimore and maintained a private clarinet studio at his home. Mr. Reinhardt served for 18 years on the staff of the Maryland Summer Center for the Arts at Goucher College where he was woodwind instructor and director of the Jazz Ensemble. He is a past president of the Susquehanna Symphony Orchestra and was a member of The Opus V Woodwind Quintet, and the Chuck Baker Big Band. He was an active adjudicator and guest conductor throughout the state. His orchestras and bands traveled eight times to Boston, Nashville, and Toronto, successfully competing in national and international music festivals. Mr. Reinhardt received the 1994 Class Teacher of the Year for Parkville High School an award given by the Maryland State Senate. He was chosen the 1997 recipient of the Maryland Music Educators Association Award for Excellence for the North Central Region and received an honorary membership in the Nelson F. Hurley Chapter of the National Honor Society of Parkville High School in 1998. 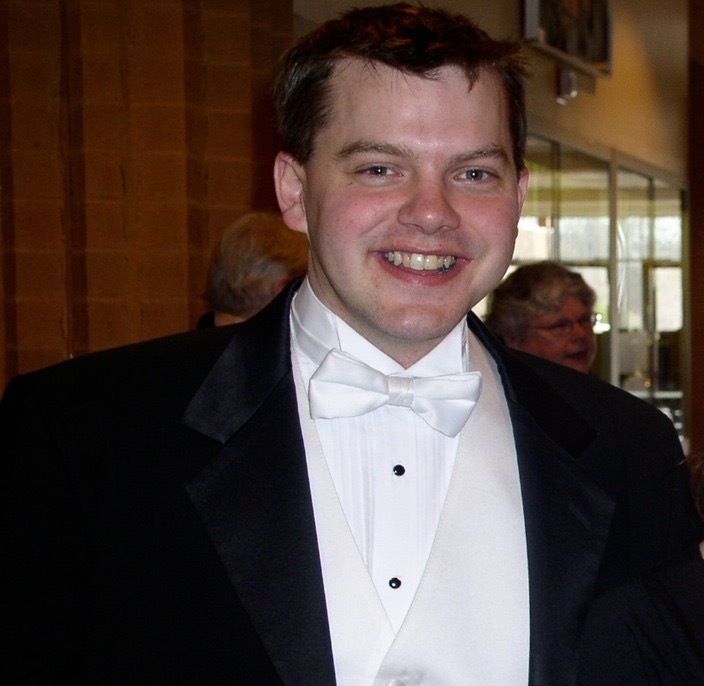 Mr. Tim Reinhardt, was conductor of the Harford String Orchestra from 2005 to Spring 2014, received his Bachelor’s of Music degree from the University of Cincinnati College-Conservatory of Music and is presently pursuing a Master’s degree from Towson University. After teaching at Bel Air Middle School, he is now the director of orchestras at Hammond Middle School in Howard County. He presently conducts the Howard County High School GT Orchestra as well. He has conducted the Chamber Orchestra and the Young People’s Orchestra at the Baltimore String Orchestra Camp, and has conducted Harford Youth Orchestra on several occasions. As a violinist, Mr. Reinhardt has performed with the Susquehanna Symphony Orchestra and is a freelance musician in various recitals and events in the metropolitan area. He has also performed with the Cincinnati Community Orchestra, and was a member of the Lucca Opera Theatre Orchestra in Lucca, Italy. He studied violin with Zoltan Szabo and Piotr Milewski. Mr. Reinhardt is a frequent adjudicator for the Maryland All-State Orchestra and for various county Solo and Ensemble Festivals. He also composes music for various ensembles such as young orchestras, adult symphony orchestras, and steel drum bands. Wesley Thompson was conductor of the Harford String Orchestra from Fall 2014 to Spring 2018. 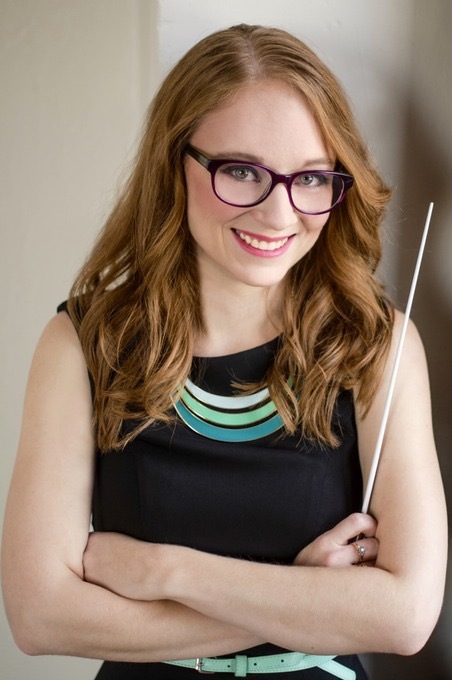 Ms. Thompson is a graduate of the Peabody Conservatory of the Johns Hopkins University where she received a degree in Double Bass performance and Music Ed certification studying under NSO bassist Jeffrey Weisner and Harlan Parker, Peabody Youth Orchestra and Peabody Wind Ensemble conductor. Along with conducting the Harford String Orchestra, she is currently the orchestra director at Sudbrook Magnet Middle School in Baltimore County and maintains a substantial private double bass studio in the Baltimore area. Along with teaching public school full time during the year, Ms. Thompson is also the General Manager of Peabody Bass Works and faculty and co-founder of the Basstravaganza Camp during the summer. Ms. Thompson is also proud to be Principal bass of the Hunt Valley Symphony, Manager of Maryland Junior All State Orchestra and the Managing Director of The Evolution Contemporary Music Series in Baltimore. When she’s not teaching or performing, Ms. Thompson loves to pursue her favorite hobby, baking for her friends and family. You can email Ms.Thompson by clicking on her name.